According to the Foreign Investment Agency (FIA) under the Ministry of Planning and Investment (MPI), 930 foreign investment projects at a total registered capital of US$19.78 billion has been recorded as of December 31, 2014, including 92 projects being adjusted in terms of capital with a total increase of US$4.93 billion. The MPI already issued 109 foreign investment licenses for Vietnamese investors to invest in 28 countries and territories last year, with a total registered capital of more than US$1.05 and adjusted 22 foreign investment licenses in terms of capital with a total increase of nearly US$739. Most projects were made in the fields of communications and information (54.3 percent), agriculture-forestry-fishery (27.5 percent) and mining (6 percent). Last year, Vietnamese investors mainly focused their investment on 23 projects in Cambodia, 16 projects in Myanmar, and 13 in Laos. However, some were interested in African countries. For example, the Viettel Group has been investing in telecommunications projects in Tanzania and Burundi. Several other projects were made in the Association of Southeast Asian Nations (ASEAN) countries, Russia, Japan, the Republic of Korea, Australia, US and EU. According to the Vietnam Posts and Telecommunications Group (VNPT) CEO Nguyen Manh Hung, the group has officially opened its representative offices in Myanmar, Cambodia and Laos and are seeking investment opportunities in some other countries such as Cuba and Hong Kong. Early this year, the FPT Information System (FPT IS) already launched an enterprise resource planning (ERP) project at the Myanmar-based United Paints Group (UPG). Despite significant growths in foreign investment last year, it was noted that the realized capital had failed to keep up with the paces of investment, accounting for about US$1 billion by a rough reckoning. 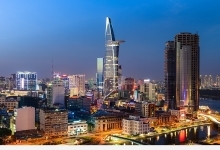 According to the FIA, Vietnamese investors have gradually applied persified investment modes and focused more on expanding consumer markets as well as low-investment and high profitable business. Nearly US$20 billion as foreign investment over the past years is not a convincing number given domestic investors’ financial strength and the potential in invested markets and sectors. Recognizing that, the Foreign Investment Agency have taken solutions to further boost foreign investment including the drafting and perfecting foreign investment bylaws and streamlining foreign investment administrative procedures. 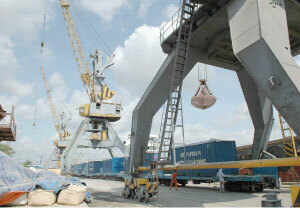 The MPI has determined to focused on foreign investment promotion, especially for traditional markets. However, these promotion programs should be focused on some key markets and sectors, thus avoiding wastes of time and money. In addition, it also encourage domestic investors to persify investment modes and resources, including boosting cooperation with foreign organizations and agencies at home in launching foreign investment promotion programs. - The project to explore oil and gas at Lot PM 304 in Malaysia which recorded a capital increase of US$465.32 million.